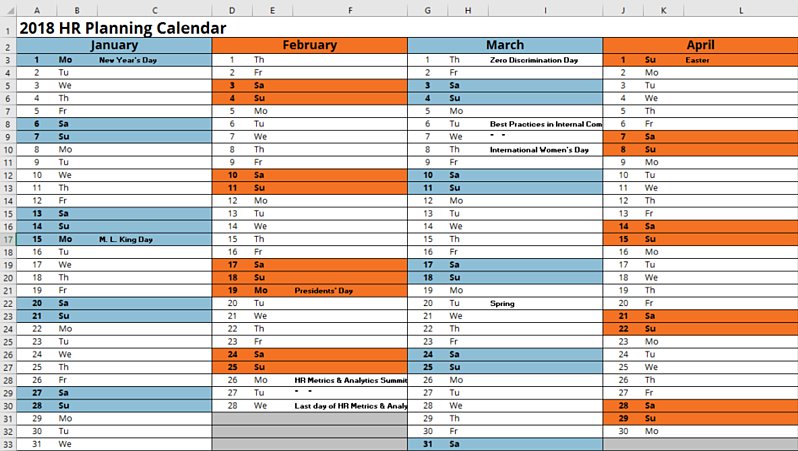 Download this useful HR calendar template – and never miss a deadline again! Start 2018 as you mean to go on. Use this handy HR and Internal Communications calendar template to make life that bit easier for you. Or get your annual copy for 2019 and get planning now! 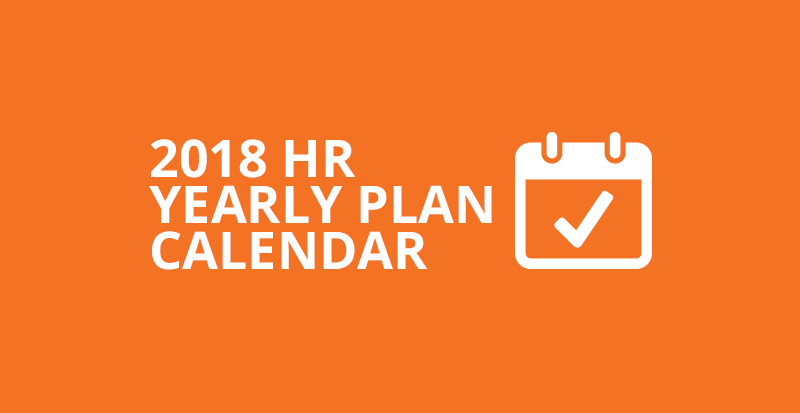 Designed by SnapComms exclusively for Human Resource and Internal Communication professionals, the 12-month calendar for 2018 will enable you (and your team) to plan and implement tasks – and never miss a deadline again! The template calendar includes an overview of the year, along with separate sheets for each month. All the main public holidays are listed, along with events of national significance. Some of these may require some creative thinking for an internal comms campaign on your part. Such events include Cyber Security day; GDPR’s implementation deadline; and Zero Discrimination day. Also featured are the most popular HR and Internal Communications conferences lined up for U.S.A. and Europe. You can start planning your attendance right away! This user-friendly, password-protected document (code: 123) also includes a helpful list of suggested daily and monthly tasks. Cut and paste these into the dates that suit you - and add others – so that you can prioritize activities by importance. Tip: why not set your first task to organize your trip to your favorite HR conference? To get your copy, simply enter your email address below.